Yes, Paris is Still Safe to Visit in 2019. Here's How to Stay Secure. Paris skyline from the Centre Georges Pompidou. Zoetnet/Some rights reserved under the Creative Commons license. 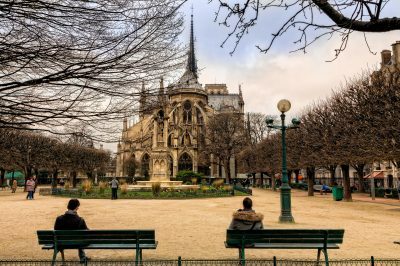 In the wake of terrorist attacks and violent street demonstrations, many people are wondering whether Paris is still safe to visit. 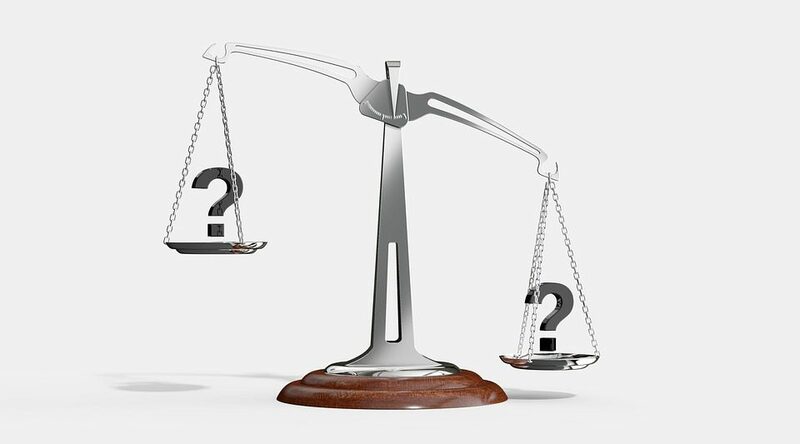 A quick look at Google’s search statistics confirms that the anxious question is one on thousands of potential travelers’ minds. And it’s an understandable and entirely human one. But as I lay out below, it shouldn’t ruin your plans or adversely affect your trip to the capital. Read on for the latest information on safety advisories and precautions to take, and for my full safety tips for France. Should I Cancel my Trip to Paris? How to Avoid Pickpockets in Paris? What About ATM Thefts and Other Scams? Are There Dangerous Places in the Capital to Avoid? Since late December, smaller groups of “gilets jaunes” (yellow vest) protestors have been taking to the capital, almost exclusively on Saturdays. But after weeks of relative calm, a new wave of violent action broke out over a weekend in mid-March. On Saturday, March 16th, a fringe of violent protestors vandalized and set fire to some 80 restaurants and shops in the capital, mostly on and around the Avenue des Champs-Elysées. Rioters smashed windows at upscale restaurant Fouquet’s, before setting fire to it. They also vandalized and set fire to other shops on the Avenue, some throwing rocks at police, who responded by firing teargas into the crowd. In total, there were an estimated 10,000 Yellow Vest protestors in Paris over that weekend, up from around 4,000 in earlier weeks. Over several months of demonstrations, there have unfortunately been scattered reports of protestors clashing with police, burning barricades, throwing bottles or engaging in other violent activities. The police have reportedly responded by firing teargas, water cannons and even rubber bullets at small groups of protestors, using what some are describing as excessive force. Some protestors have been severely injured by rubber bullets, drawing into question some of the tactics used by local police against the “gilets jaunes”. As of late April, the protests have simmered out again, in part due to a much heavier police presence. In spite of the recent violence which can feel quite concerning, you should know that tourists have not been injured or otherwise endangered by these protests. While it’s important to stay informed about planned demonstrations over the coming weeks and months and stay clear of them, they arguably don’t warrant canceling or delaying your trip to Paris. If you’re visiting Paris now or are scheduled to soon, you can stay informed about important safety information from your embassy or consulate. The U.S. Embassy published an updated advisory on traveling to Paris in mid-March, cautioning tourists to remain informed and vigilant at all times but not advising against travel there. They also offer a complete list of areas around the city to avoid on planned demonstration days. You can read the full advice here. Similar notices have been issued by embassies and consulates including Canada, the UK and Australia. Find information from your own embassy or consulate here. Finally, news outlets including The Guardian and The Local France have been providing valuable in-depth coverage of the gilets jaunes demonstrations and their aftermath, and offering advice to tourists. I recommend following their stories to stay updated on that front. In late November and early December 2018, rioters protesting President Emmanuel Macron’s fuel taxes and other policies set fire to cars, houses and buildings, damaged parts of the Arc de Triomphe and prompted the evacuation of several areas and sites popular with tourists. 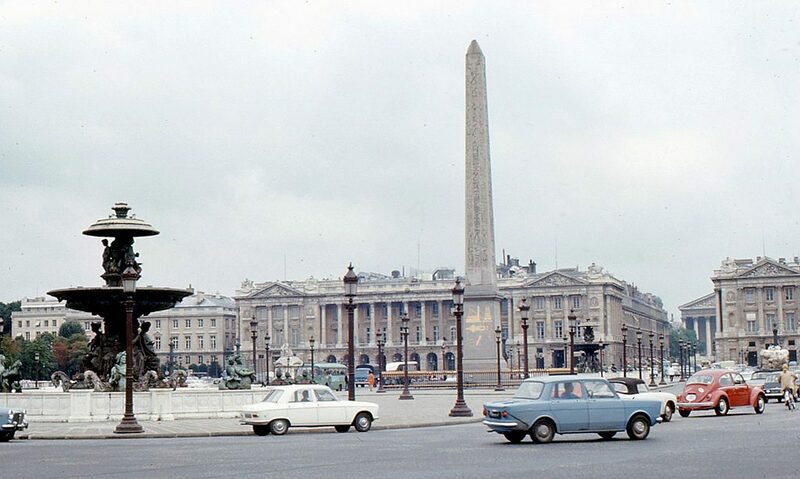 These included the Avenue des Champs-Elysées and the department stores around Boulevard Haussmann: districts where tourists traditionally flock at that time of year for holiday displays and shopping. Responding to a fresh wave of protests on Saturday, December 8th, the government significantly stepped up the police presence in the city to some 8,000 officers, made over 1,000 arrests, and proactively closed down nearly 50 popular sights and attractions in the city, including the Louvre, the Arc de Triomphe and the Eiffel Tower. They have all since reopened. The early December protests were followed by smaller ones on subsequent weekends in December through April. The Paris city government has been working to keep visitors informed and well away from sites that may be targeted by a small number of violent protestors at the fringe of the so-called “yellow vest” movement (read more about who they are and what they want). Modern life is a constant game of risk negotiation– but it’s important to put potential risks into perspective. With what seem to be frequent reports of violent incidents in the capital, it can indeed feel scary to be a visitor these days. But as I detail at length in my piece on why you shouldn’t fear coming to the city since the attacks, there have been exaggerated accounts in some media outlets about the dangers tourists face when visiting Paris. The recent riots, for example, may put visitors on edge– but again, none have been hurt in skirmishes between police and the fringe protestors who resort to violence. Police are ensuring that tourists stay well out of the way of areas where the protests are occurring, which is why certain popular zones have been barricaded off and closed during planned protest days. These have so far been scheduled exclusively on Saturdays. As long as you keep your distance and plan to stay away on the days when protests have been scheduled, your risks are very low. I recommend going on a day trip, if possible. 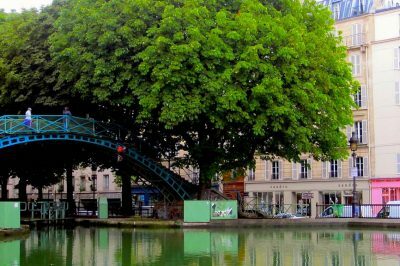 There are plenty of places you can easily reach from Paris via a short train ride. That’s up to you, of course. But in a modern world where there are many complex risks to weigh and negotiate all the time, it’s important to put those risks into perspective. It’s not about discounting potential danger. It’s about recognizing that life must go on– and that living in fear shrinks your world and its possibilities. So before you cancel your trip or decide on another destination out of fear that you may be the victim of a terrorist attack or some other form of violent crime, read through my advice below. As I’ve said elsewhere, Paris depends greatly on tourism to thrive. It would be tragic to see too many people eschew all the city has to offer out of a disproportionate sense of fear. While Paris has admittedly taken a significant knockdown in world city safety ratings due to recent terrorist attacks, violent crime is still generally uncommon in the capital. OSAC, the US Bureau of Diplomatic Security, notes that tourists are generally safe in the city, and that street crime such as pickpocketing remains the primary concern. To break it down a bit: The violent crime rate in France is roughly on par with Canada’s, and is three times lower than rates in the US. According to French government statistics, even when taking into account deaths from terrorist attacks, the homicide rate in Paris per 1,000 inhabitants between 2015 and 2017 was only 0.019 (0.014 if you exclude the attacks). You get my drift. Violent crime, and especially the sort that threatens lives, is relatively rare in Paris. Gun violence there is astronomically lower than it is in comparably sized cities in the US. And while the US State Department website advises that tourists remain aware of their surroundings and exercise caution due to potential terrorist threats, take note: they don’t recommend cancelling your trip or avoiding the city. My conclusion? Yes, there are some risks that can’t be denied. Most large metropolitan cities, including London and New York, carry similar risks in our globalized world. Should you avoid setting foot in these places altogether? Everyone has to make choices that they feel comfortable with, but from my perspective, you’d be greatly overestimating the dangers you face by doing so. I’ve talked about the unlikelihood of tourists becoming victims of violent crime in Paris. However, this doesn’t mean that you don’t risk being targeted for petty street crimes that can still make your trip a nightmare. Pickpocketing is by far the biggest threat to visitors, so you should learn how thieves operate and take all the precautions necessary to avoid being targeted. In any crowded place (busy lines, congested metro cars, open spaces full of tourists snapping photos), take extra care with your belongings. It’s best to carry a bag or purse that you can wear crisscrossed around your chest, with pockets and valuables hugged to your front and in plain view. If you wear a backpack, don’t leave wallets, cash, passports or other valuable items in the front compartments. Only bring as much cash as you’ll likely need for the day, and maybe even less. 100 Euros or so is a good limit to aim for. Traveler’s checks can easily be exchanged for Euros at the American Express office on Rue Scribe (Metro: Opera). If you must carry larger amounts of cash, consider wearing a money belt. It’s always preferable to leave passports, large amounts of cash and other valuables in a hotel safe, if possible. Never leave your bags or suitcases unguarded, even for a minute or two. Not only do you run the risk of them being swiped up by thieves between two blinks of an eye: they can also be legally confiscated and destroyed by security forces, under current safety regulations in public spaces. In addition to pickpockets, tourists are often targeted by scammers and thieves in other ways. ATMs/cashpoints are particularly vulnerable spots. Never allow anyone to linger nearby when you take out cash, and guard against prying eyes. Never let anyone “help” you with a transaction at an ATM, or otherwise interfere with it. Ask the intrusive person to back off, and if they refuse, find another place to take out cash. 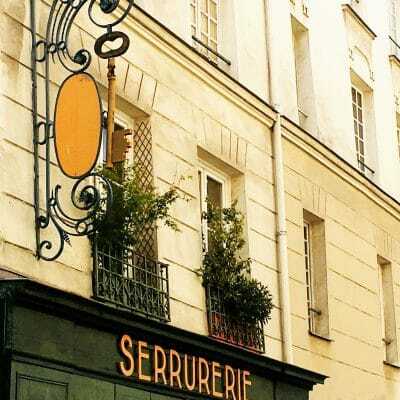 Around popular tourist attractions including the Sacre Coeur, the Louvre and the Eiffel Tower, merchants operating illegally are known to aggressively “persuade” tourists to buy their wares. This often involves putting an object or trinket in your hand or inviting you to “try on” a bracelet. Once you give in, a demand for payment often follows. 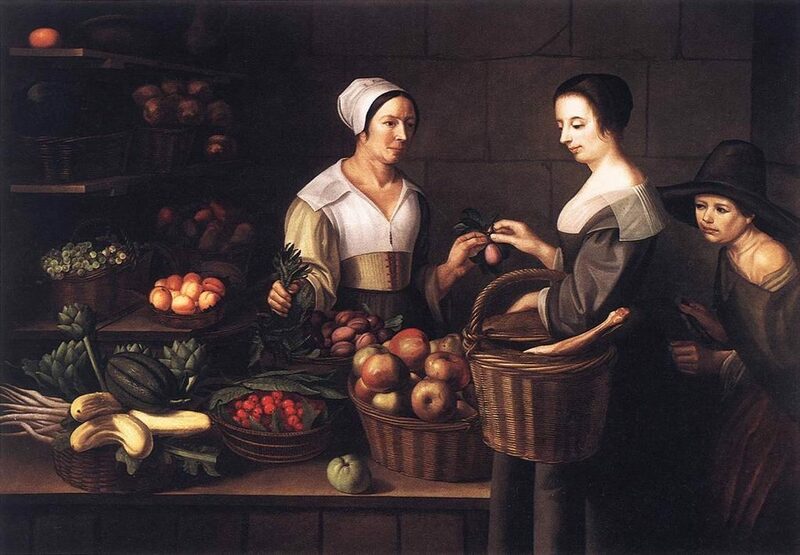 Avoid this by refusing all advances from such “vendors” and not allowing them to place any items in or on your hand. No one intends to get sick or suffer from an accident while traveling, but preparing for such unfortunate events will give you peace of mind and save you from outlandish medical costs. Buying trustworthy travel insurance is essential. Many international policies cover up to millions of dollars in medical costs and liabilities, and are reasonably priced (about the cost of a nice meal out for one, or even less, depending on your age and pre-existing conditions). You can compare and purchase trusted travel insurance policies here (via World Nomads). Note that in most cases, calling “15” is the best thing to do in a medical emergency. If you have been the victim of a violent crime or other crime, it will be necessary to both inform the French police and to file a report with your embassy. 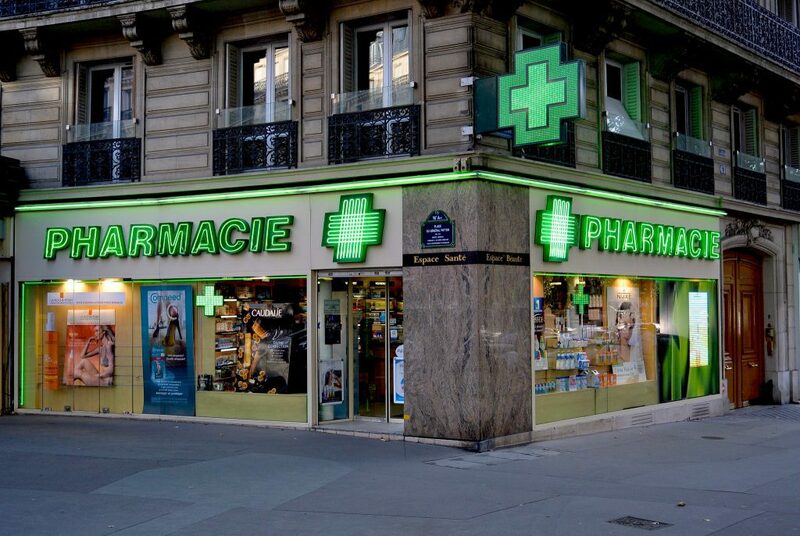 If you need a pharmacy in Paris, identify them by their green flashing crosses. Most neighborhoods in the city have at least one pharmacy within a few blocks’ radius. These pharmacies are open late or 24 hours a day, in case you need to seek advice from a pharmacist or purchase medical supplies late at night. 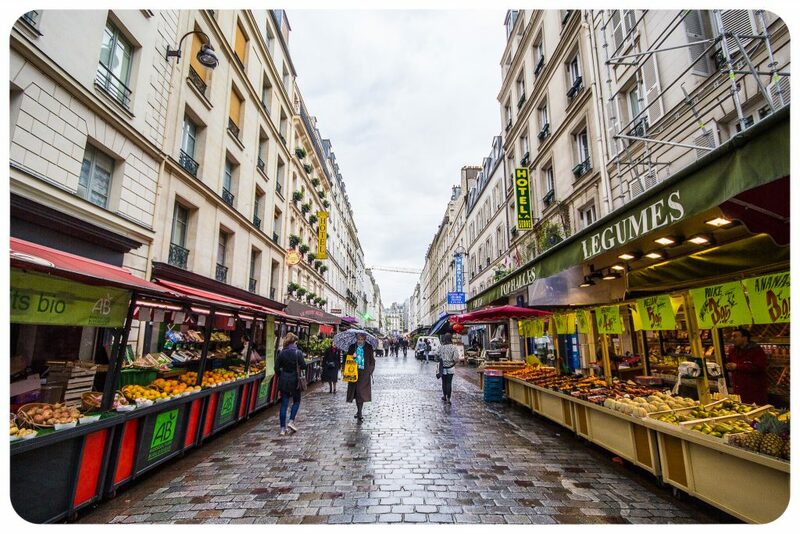 While Paris is generally a very pedestrian-friendly city– the local government has been working to increase the number of car-free zones around the capital in recent years– drivers can be aggressive, posing a danger to walkers. Take a defensive approach when crossing streets and busy intersections, checking for cars even when the light is green and/or when you have the right of way. In areas that appear to be pedestrian-only, watch out for cars and aggressive motorcylists: some areas that are “car-“free” still allow motorcyclists, service vehicles and cyclists. I strongly advise against trying to drive in Paris. Parisian drivers can be aggressive and unpredictable (by many standards), and traffic conditions are often congested and unpleasant. If you have to drive, your international driver’s license and insurance must be up to date. Also make sure you understand the local rules of the road. Avoid, at all costs, driving around nightmarish traffic circles such as the one at the Place de l’Etoile on the Avenue des Champs-Elysées. It’s always wise to register with your embassy ahead of your trip and to keep their contact details with you at all times. In the event that your passport is lost or stolen, you experience a medical emergency or a crime, or are in the city at the time of a dangerous event, registering will ensure that you’ll be able to get in touch more quickly with your embassy and to receive help from them. This is a good list of world embassies and their contact details. Once at your embassy’s site, read through any relevant travel advisories for Paris and France and find out how to register as a citizen traveling abroad before your trip. 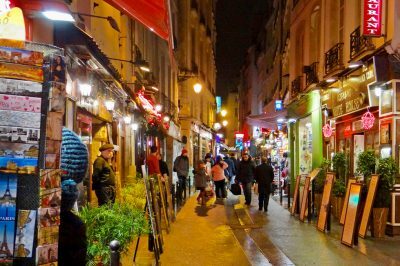 I wish I could argue that Paris is entirely safe in corners, but sadly, there are a few places that you’d probably be best off avoiding at night, especially for women and solo travelers. Gangs are known to operate in some of these areas, and hate crimes have been reported around them in the past. Take special caution late at night around the following metro stops and surrounding areas (and perhaps avoid altogether when traveling alone after dark): Chatelet les Halles, Les Halles, Pigalle, Couronnes, Belleville, Place des Fetes, Porte de St Ouen, Porte de Clichy, Gare du Nord, Stalingrad, Jaures, Crimee. Please note that this is not a definitive list: you should probably be cautious in all areas of the city after nightfall, or when crowds disperse. Also note that this is NOT a list of so-called “no-go” zones in Paris. From my perspective (and it’s one shared by most locals), these simply don’t exist within the city limits. Unfortunately, I also advise against traveling to the Northern suburbs of Paris after nightfall. Violent crimes and hate crimes are more frequent in these areas, as is gang activity. It pains me to advise this as I don’t wish to stigmatize any communities or places, but from a standpoint of tourist safety, these areas are probably best avoided at night. To assess whether a given neighborhood is likely to be safe, you may want to download this app from Geosure, which offers ratings of 1-100 based on a complex variety of dynamic data, and advises whether extra caution is warranted. It’s especially been designed for women, LGBTQ+ travelers, and others who may be more likely to be targeted. Android users can download it here. 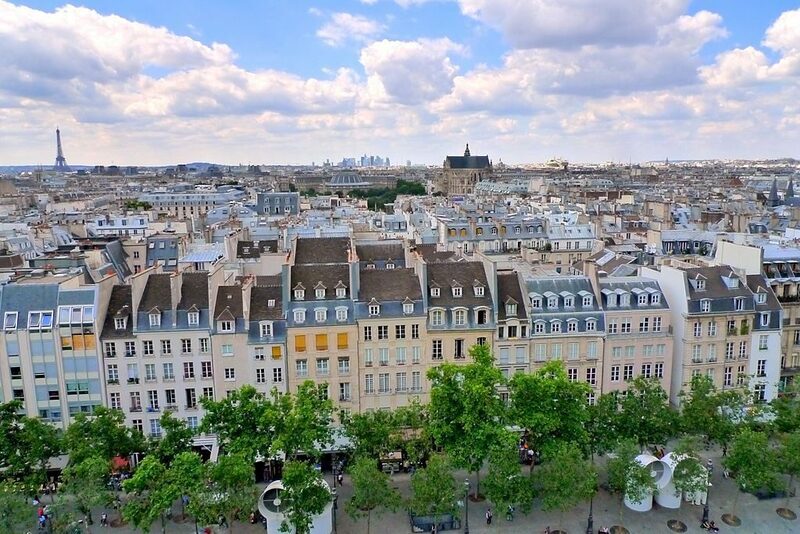 While Paris is generally a tolerant and diverse place that is welcoming to people of all colors, creeds, sexual orientations and gender expressions, there are occasional cases of harassment or even assault. Women, especially when traveling alone or in small groups, should take extra care at night, especially when alone. Avoid places with poor lighting and few people roaming the streets. Safety is in numbers. Also, be aware that French men sometimes read smiles or extended eye contact as permission to flirt or make sexual advances. 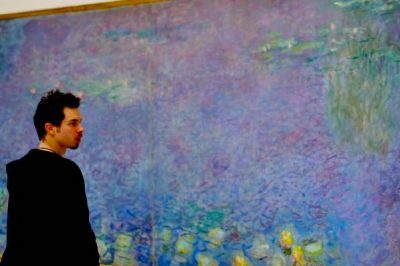 With strangers, it’s best to assume a neutral stance that clearly says “I’m not interested”. If a man makes unwelcome or aggressive advances in the street or in other public places, firmly say “non”, refrain from smiling, and walk away. Call the police if you are followed or the harassment continues, and retreat to a public cafe or other crowded place if necessary. Gay, lesbian, bisexual, transgender and non-binary visitors are generally safe and welcomed in the capital, which harbors a large and vibrant LGBT community. That said, there has sadly been a spike in reports of homophobic attacks in Paris over the past year, and in the areas I mention above as being potentially less safe after dark, it is advisable to be extra cautious. Read my guide on homophobia in Paris over at TripSavvy for tips on staying safe, including for LGBT couples. If you are attacked, report it to the police and to your embassy, and state clearly if you believe the attack was a hate crime. Jewish visitors may have read that Paris has become unsafe for them. It can’t be denied  that antisemitic attacks have been on the rise in recent years, with targets including synagogues, places of business and Jewish individuals. Sadly, in 2018 such attacks are reported to have risen sharply. Visitors should take extra precautions at this time. These attacks have been met with increased police protection of Jewish schools, places of worship and other sites important to the Jewish community. While safety concerns are warranted, I want to stress that Paris has one of the largest Jewish communities in the world: one with a deep history that’s very much part of the cultural fabric of the city. The vibe is generally welcoming and you shouldn’t fear visiting the city. It’s also important to know that there have been no recent reports of attacks against tourists of Jewish faith. Nevertheless, take precautions, particularly in the areas I mention above. Sadly, it may be best, late at night and in quiet areas, to remove visibly religious symbols and clothing items. Always report it to the police and to your embassy if you are a victim of an antisemitic attack. SOS Racisme can also help. Muslim visitors may also fear attacks from Islamophobic individuals. Since 2015, there has been, according to numerous organizations, a sharp rise in attacks on Muslim places of worship and individuals. Tourists of Muslim faith should not fear visiting the capital, however. Again, there is a large community here and most people are welcoming. As always, though, if you experience harassment or violence make sure to report it to the police, your embassy, and perhaps to SOS Racisme (+ 33 (0)1 40 35 36 55). While attacks on tourists of Muslim faith are exceedingly rare, it is important for victims to be heard, have their experience accounted for, and to seek the help they need. *Disclaimer: This post contains affiliate links. If you book products or services though this site, it comes at no cost to you, but will help fund more free, in-depth content here at Paris Unlocked. Thank you.